In 1950, my life changed forever as I boarded the SS President Cleveland for the United States. In those days, it was not so common to see Chinese students traveling to America to study. Not unlike most Chinese parents, my parents believed that education was the foundation for a better life. They wanted me to be a doctor since they felt doctors are always needed and respected. However, I choose engineering, a subject I came to love while accompanying my father to construction sites as a child. Thanks to the generosity of donors who funded scholarships, I was able to reduce the financial burden on my parents and studied at the University of Illinois and Harvard University. The impact of these scholarships, not only for me but for many others like me, was more far reaching than maybe even the donors envisioned. The scholarships I received were the foundation for a better life for me, but I didn’t go to America alone. I went to America on the shoulders of those who came before me, especially my parents and grandparents. My family originates from Ningbo, Zhejiang Province, but my own grandfather migrated to Shanghai for better opportunities and my father made similar move, establishing his business in Hong Kong. With each move, my family sought to improve their situation and construct a better life for their children. This is a familiar refrain, even today. My father chose Hong Kong because Shanghai was too prosperous in the 1930s and the competition was fierce. Hong Kong, considered a backwater to Shanghai at the time, was easier pickings for a small businessman. He founded Hsin Chong Construction in 1939. During WWII, he did not want to build for the foreign occupiers so he gave up doing business and lived on his savings. When the war was over, his business was gone and savings exhausted. But with the foreign occupiers gone from Hong Kong, my father was ready to rebuild his construction business. With little capital in hand, he started rebuilding based on decades of hard earned reputation as an honest and diligent man. After my education in the United States, I went to work for my father. We were lucky to be in the right place at the right time. Our company, Hsin Chong Construction, has had an indelible impact on Hong Kong’s physical landscape. It has built infrastructure for welcoming visitors and business, hospitals for treating the sick, homes for sheltering families and schools for educating the future generations. As I see many of those facilities continue to exist and operate today, I am reminded of the blessings that I have received and my duty to give back to the community. I, my children and my grandchildren are fortunate to live and be educated in communities which recognize the importance and value of education, innovation and civic society. My forefathers and the generosity of others laid a foundation for me to build a better life and enable me to contribute to the development of Hong Kong. My dream is that The Yeh Family Philanthropy will help others build lives of purpose and prosperity the way donors once did for me. We may no longer build grand physical projects. But we are still building. May The Yeh Family Philanthropy continue to live up to the ideals of our forefathers, honor our good name and provide the resources and vision to inspire others! But even as we said our prayers and held his hand in those final moments, he was showing us what it means to have lived a life without regrets. Our father was our teacher till his last breath. I am overwhelmed with bittersweet feelings as I share our developments over the last few years. On the one hand, I am wistful because our father is not physically here with us to celebrate the progress we made since those early conversations about philanthropy. On the other hand, I am hopeful and excited that we and future generations will have the opportunity to help realize his vision of a family that pays forward through their own lives and The Yeh Family Philanthropy. I was recently asked, “Which philanthropist inspires you?” While it would have been easy to say Mother Teresa, Rockefeller, Bloomberg or Gates, my answer was my father. He was a man who always lived life to the fullest, in reflection of his values – integrity, accountability and a deep-seated belief that giving back was a responsibility, not a nicety. He held himself to those standards and taught us to live life that way. Looking back, those conversations are some of the more poignant memories I have of my father, as we sought to create something together that could allow the Yeh family to contribute to society for generations to come. When he tasked me with running the foundation, neither of us realized that I would find my passion and calling! We have come a long way in the last five years. Our fledgling course on social entrepreneurship and venture philanthropy has been scaled up in partnership with the Hong Kong government’s Social Innovation and Entrepreneurship Fund. Our work with Teach for China is entering a new phase in which we are supporting the professional development of their educators as Teach for China itself evolves and grows into one of the most impactful and innovative non-profits tackling rural education in China. And in Hong Kong, we are in a unique collaboration with HKSKH Lady MacLehose Centre to design, pilot and test a one-on-one tutorial model to support the learning of primary school students. We have made progress. We have made mistakes. But every step of the way, we have learned more about the issues we seek to address, the needs of our partners and their beneficiaries, the lessons from existing solutions and the promise of technology to help support pedagogy. As we benefit from this continuous learning, we are eager to share our knowledge among all stakeholders in this ecosystem and benefit from their feedback and experiences. Today, we relaunch our website to commemorate the anniversary of my father’s passing. There remains much work to be done; we are only in the beginning stages of our journey. But it is my hope that, as we move forward, my father’s spirit will live on through foundation, and we can continue to make him proud. May you rest in peace, Dad. We miss you dearly! Godfrey Yeh was born in Ningbo, Zhejiang Province in the late Qing Dynasty in 1900 into a middle-class merchant family. Over time, he migrated from Ningbo to Shanghai and then later to Hong Kong. Prior to World War II, the elder Yeh started successful construction businesses, first in Shanghai then in Hong Kong. Unwilling to work for foreign occupiers, Mr. Yeh and his wife, Tsao Hsu-Yun, halted his thriving business and lived out the war in Shanghai. When they returned to Hong Kong, their savings were depleted. Thankfully, the elder Yeh had built a name as an honest and diligent businessman and developed excellent relationships with his customers and suppliers alike. He was able to capitalize on his reputation to restart his construction business in 1946. Godfrey and Mrs. Yeh were blessed with three sons and one daughter. 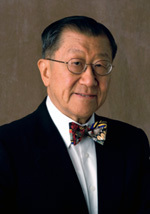 Dr. Geoffrey Yeh, the youngest of his siblings, was born in 1931. Dr. Yeh grew up in the midst of Hong Kong’s post-World War II reconstruction boom and the transformation of Hong Kong from a small colonial outpost to a major economic centre. Dr. Yeh fondly remembers playing on construction sites as a child while on site visits with his father. It was during these childhood years that Dr. Yeh himself grew to love construction. Dr. Geoffrey Yeh went to the United States in 1950 to study at the University of Illinois and Harvard University gaining a B.S in Civil Engineering (Illinois) and a M.A. in Soil Mechanics (now Geotechnics). 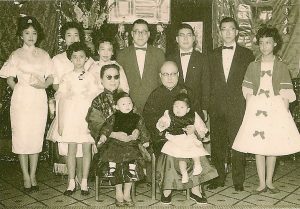 Dr. Yeh returned to Hong Kong and married Helen Yeh in 1958. The couple has two children, V-Nee Yeh and Yvette Yeh. Dr. Geoffrey Yeh took over Hsin Chong Construction, growing it into one of Hong Kong’s leading construction companies and helping to build Hong Kong’s infrastructure. V-Nee and Yvette both attended the Diocesan schools and university in the United States. V-Nee studied at Williams College and then Columbia University Law School. He returned to Hong Kong to build several successful fund management businesses and is an avid wine collector and trader. He married Mira Yeh in 1994 and the two have one daughter, Nadya who attends Williams College. V-Nee and Mira are fond of boating and skiing and support a variety of environmental and educational causes. Yvette studied at Stanford University, UCLA School of Business, and Stanford Law School. She returned to Hong Kong in 1997, helps manage Hsin Chong International Holdings and is Chair of The Yeh Family Philanthropy. Yvette married Dr. Carl Fung, a US trained cardiologist, in 1991 and the two have two daughters, Camille and Carina. Camille studies at The New York University Tisch School of the Arts, and Carina studies at The Thacher School in California. Carl and Yvette enjoy traveling to exotic destinations with their daughters and are deeply involved in educational and arts-focused institutions and charities. The Yeh family enjoys traveling and eating together as often as possible. All of the family members are involved in personal charitable giving and look forward to new endeavors through the Yeh Family Philanthropy. In 1980, Mr. K.N. Godfrey Yeh donated funds to support a perpetual scholarship program for the education of Hong Kong’s youth. Since then, the K.N. Godfrey Yeh Education Fund has provided scholarships to more than 4,400 Hong Kong students. The Yeh family gift to the Hong Kong University of Science and Technology supports an endowed professorship in the HKUST School of Business, now one of the highest ranked business schools in the world. The gift was matched by Synergis Management Services and further funds were donated by the government of Hong Kong. Gifts to Harvard University from the Yeh family support scholarships as well as an endowed professorship. The scholarship fund supports students from mainland China to study at Harvard University. The Yeh family gift also supports the Dr. Jiang Yanyong Visiting Professorship at the Harvard University School of Public Health. The Dr. Jiang Yanyong Visiting Professorship allows public health researchers and practitioners from China to teach and research at Harvard University. It also supports seminars whose aim is to bring together Chinese and American public health academics and practitioners to discuss pressing public health issues and research. The Yeh family gift established the "Yeh's Lu Xun Chair Professor Fund of Social Sciences", which will be used to support professors with distinguished records of achievement in social sciences. The Yeh family has provided two gifts to support scholarships and overseas studies focusing on China and students from China. The Yeh family gifts support Stanford University professors to participate in overseas study through the Bing Overseas program at a Stanford University campus in China. The scholarship fund supports undergraduate students from China to study at Stanford University. 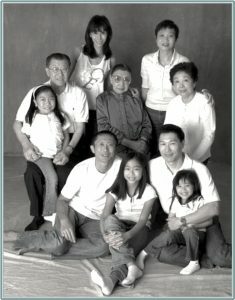 The Yeh family has supported the University of Illinois at Urbana-Champaign, alma mater of Dr. Geoffrey Yeh, for many years. Donations from the Yeh family have supported several important initiatives including the M.T. Geoffrey Yeh Student Center at the Department of Civil and Environmental Engineering (CEE), the M.T. Geoffrey Yeh Graduate Research Fellowships in the CEE and the M.T. Geoffrey Yeh Endowed Chair in CEE. The Yeh Family Philanthropy seeks to fulfill its mission in education and social entrepreneurship in an open and transparent manner. As such, the Yeh Family Philanthropy is governed by a board of directors and grants committee. The board of directors oversees the strategy and fiduciary responsibilities or the organization, while the grants committee meets regularly to review grant proposals and monitor evaluation. Yvette is a graduate of Stanford University (B.A. and J.D.) and UCLA (M.B.A). 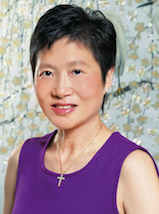 She is the chair of the Yeh Family Philanthropy and a director of Hsin Chong International Holdings Ltd. Yvette has a long history of educational involvement, through several schools, universities, and organizations in Hong Kong and the US. She also has a strong interest and background in social entrepreneurship and non-profit leadership as a board member of several organizations in Hong Kong. Yvette and her husband have two children and enjoy traveling immensely. V-Nee Yeh is a graduate of Williams College (B.A.) and Columbia University (J.D.). He is a former member of the Executive Council of the Hong Kong Special Administrative Region. V-Nee is founder and director of several fund management businesses (Value Partners, Argyle Street, Cheetah, HS Group & Samena) in Hong Kong and Asia. He and his wife are supporters of the arts and environment. V-Nee enjoys skiing and wake surfing, seeking to spend as much time as possible on the slopes or in the ocean. V-Nee and his wife have one daughter, who is also an avid skier. Bernard Charnwut Chan is a deputy to the National People’s Congress of China, a non-official member of Hong Kong’s Executive Council (2004-09 and from 2012) and (from 2017) the Convenor of the Non-Official Members of the Executive Council. He is also a former member of Hong Kong’s Legislative Council (1998-2008). A graduate of Pomona College in California, he is the President of Asia Financial Holdings and Asia Insurance. He is Chairman of the Hong Kong – Thailand Business Council and an advisor to Bangkok Bank (China) Co. Ltd. He sits on the boards of several local and overseas companies in the financial services and manufacturing sectors. He also joined the governing board of the Alibaba Entrepreneurs Fund in Hong Kong. Among his public service activities, he is Chairman of The Jockey Club CPS Ltd. Advisory Committee and Chairperson of the Hong Kong Council of Social Service. He was appointed a Justice of the Peace in 2002, and in 2006, he was awarded the Gold Bauhinia Star by the Hong Kong SAR Government. Lister Chang has been an entrepreneur and investor since graduating from University of California, Berkeley, in 1969, with his M.B.A. in Finance. He started his career as an analyst with the Wall Street firm of Hayden Stone Inc., where he worked under renowned pioneer venture capitalist Arthur Rock. In the mid-1970’s, Lister teamed up with Andrew Yen, a son of former Taiwan President – Mr. C.K. Yen, to establish the first ever Taiwan based wafer fabrication plant, Fine Products Microelectronics Corporation. Lister was an Executive Director of Kwong On Bank in Hong Kong and the Development Bank of Singapore. Lister was a Trustee of the University of California, Berkeley Foundation. Donald graduated from University of California at Berkeley and completed Harvard University’s Advanced Management Program. He started a banking career in 1977 with Bank of America, and joined Wardley Limited (a member of HSBC Group) in 1984. Donald then joined Sun Hung Kai Properties Limited in 1986 and had pursued a second career there until his retirement in 2006. Donald is currently an Independent Non Executive Director of Sun Hung Kai Properties Limited. He has been a Director of the Yeh Family Philanthropy since its inception. Sue is a graduate of Stirling University, Scotland (M.B.A). Sue worked in retail for the best part of her career for Marks and Spencer and Starbucks Coffee both in the UK and the Asia Pacific region. Now retired, Sue travels extensively and supports various charitable organizations in Hong Kong and overseas which focus principally on education and animal welfare. Howard Ling is the Chief Consultant of the Social Enterprise Business Centre. He has founded several social enterprise vegetarian restaurants such as Harvester, Happy Veggies, Bijas, Ateen, Goodnuts, and Happy Ours. He has helped many non-profit organizations to set up more than 30 social enterprises, which employ hundreds of disabled people, including those with visual and hearing impairments, physical handicaps, and autism. He was awarded the Medal of Honour (Hong Kong) in 2017 and the Hong Kong Humanity Award for his dedicated public and community service, particularly his contributions to the development of social enterprises. Howard holds a Bachelor of Science degree from the University of Illinois, a Master degree in Business Administration from the The Chinese University of Hong Kong, and graduated from the INSEAD Social Entrepreneurship programme. Audrey is a graduate of Princeton University (A.B.) and Columbia University School of Business (MBA). Her background is in finance. She has worked with schools and universities in the US and Hong Kong. It’s been a year since my grandfather passed, but his impact is not lost on me; he remains an important person in my life. He taught me invaluable lessons, gave me a wonderful family, and left an incredible legacy: the family philanthropy. He had his own wanted the philanthropy to involve all generations, including his grandkids, creating the “Next Gen Committee” for us. But while he was committed to helping to bridge the education gap in China, he was aware that was not necessarily what we were interested in. He gave us the freedom to explore and pick what causes we were passionate about, asking us who or what we want to help. Encouraging us to find causes that we felt connected to and wanted to support helped to shape what I do now. With this, I’m reminded of the good that he wanted to do, and of how I want organize my own priorities. His legacy is centered on helping other people, I intend to follow his example, and I am determined that the work that I do help others in some way. While I am a studying to be a writer for TV, working with YFP has given me a focus. I wanted to help people with disabilities, and through YFP I was able to explore that fully and participate in organizations that worked directly within that realm. Before, I just wanted to write. Now, I am focused on telling stories that represent those who are not always covered in the media, particularly for and about people with disabilities, to help shape the narrative surrounding them. And it is all thanks to my grandfather and his legacy. The Yeh Family Philanthropy is committed to providing transparent and timely information on our grant making and finances.